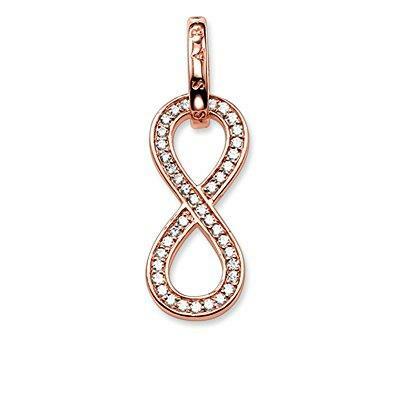 Thomas Sabo Infinity Pendant in rose gold plated sterling silver with channel set cubic zirconia stones. Show your enternal love with this pendant. Perfect for an Anniversary, Birthday or just to say I Love You.